Celebrating your first holiday together as a married couple is always a momentous occasion. As opposed to buying each-other gifts, buy a joint gift that the two of you can enjoy together. Whether it is something that reminds you of your ever lasting love, or an experience together -make it something just for the two of you. Escape with your LOVE and sit around the campfire, roast marshmallows and cook over an open fire. Go on a hike and just be together without your smart phone, computer, Netfilix or Amazon Prime. Rent a full on RV if you are feeling extra fancy. It really is such a relaxing present to give each other for your first year of marriage. 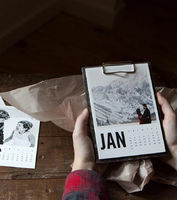 You received everything you ever wanted from your wedding except for a personalized calendar of the two of you. This custom wall calendar from artifact uprising will allow you to remember your love all year round. Making exercise an integral part of your life will not only make you healthier, but it will strengthen your relationship. In order to come up with a plan that works for the both of you, hire a couples personal trainer to sculpt and motivate the two of you. A fun gift to give each other on your first year of marriage. With their fitted sheet washable marker, you create a personalized sheet of activities where everyone wins. Create your own ideas or check out their idea vault. 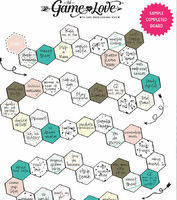 From neck kisses to a foot rub, The Game of Love will surely be a favorite gift that you give each other. 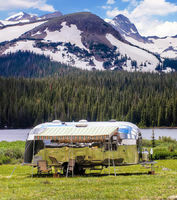 Just like renting a travel trailer, a tent allows the two of you to unwind alone in nature without all the hustle and bustle of everyday life. The great part is that you can to use it whenever you like. 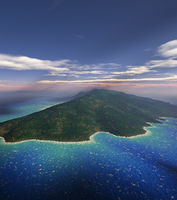 Unlike a planned trip, you can escape on a whim. A great option is a quick roof top tent. They are simple shelters that can easily go up and easily taken down. A great fit for getting away quickly, as opposed to a traditional tent that might take a bit longer to put together. 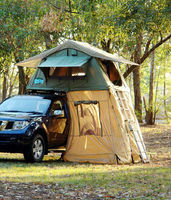 Try it out by renting from Tepui Tents. 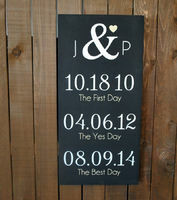 This special date sign will sure to be a cherished piece for years to come, beautifully reminding both of you of the most important dates in your lives. Like the first day you met to your wedding day. Such a thoughtful reminder of your love. While it is just the two of you, take the time to relax and travel as much as possible. Having fun and experiencing new parts of the world will bring you closer together. Hop on a plane to Lanai this year and enjoy the Hawaiian island. Now this is a spectacular gift that will give you cherished memories for years to come. Be in the present with your special someone and reconnect with a relaxing couples massage. Getting a dual massage allows both of you an opportunity to feel emerged, relaxed, refreshed and reconnected at the same time. This may seem like a gift that is only for your husband, but it really is universal. Trust us, we actually have a membership. Razors come every month on time, and we both use them. 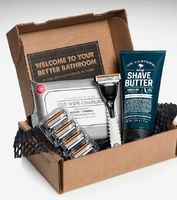 It is true, razors are not a gift that allow you to connect as a couple, or remind you of your ever lasting love, but at least your legs and face will be smooth.